I am a Mother, Modern Mystic, interweaving the beauty of life through yoga, rituals, ceremonies, retreats, Spirit Sessions and Feng Shui. I fell in love with YL first for my family as a tool for clean living and now I use them in all my ceremonies and rituals...connecting them to the different energies of the time to attain balance and harmony of mind/body/ spirit. I am first inspired by Nature. I see Spirit and the connection between all of us through the different aspects of the natural world... I also deeply connect to the stars and the cosmos. I interweave the relationship between the Earth elementals and the ethereal world, I am a bridge between the two. 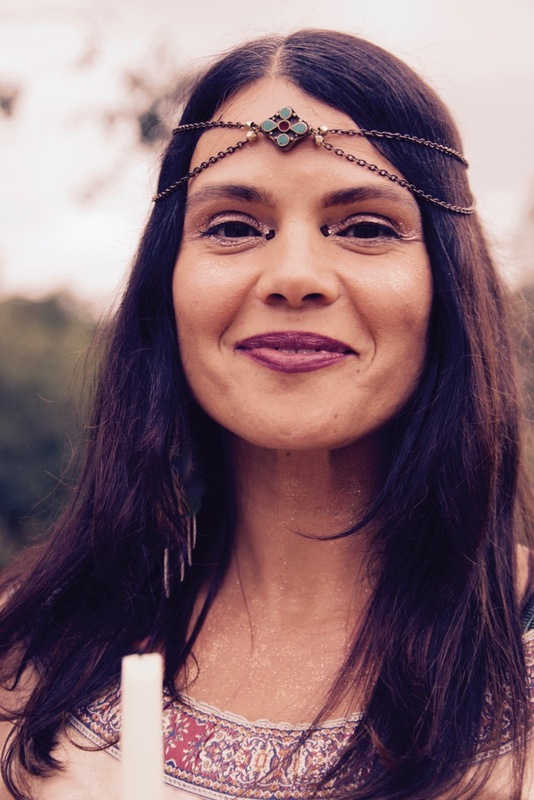 I am a mother of four spirit children and teach yoga, hold ceremonies and create different rituals to align us to the different energies of the times. I am a yoga teacher, guide and ceremonialist. My teaching style is intuitive and from my heart, reminding us of the interconnectedness of all of life. The practice is a loving prayer, a ritual to dive deeper into the body and awaken inner wisdom. I love helping people connect to their own inner knowing, remembering their Souls journey, connecting their spirits through a peaceful, mindful and sometimes challenging practice. This ongoing process of learning is what provides me with fresh insight that inspires my teaching. Mindful breathing, connecting to the heart, and intuitive alignment are all consistent points of focus in class. Also studying Sacred Sound, Metaphysics, Astrology, Ayurveda, Pranayama, and Shamanism… I infuse these teachings in class. I currently teaches Cosmic Alignment, Restorative, Yin, Prenatal, Vinyasa, and Hatha. I also leads Full Moon and New Moon Ceremonies, Workshops, Teacher Trainings and Retreats…you can see more at www.Enteringtheheart.com.